All of the 88 rooms in The Frankfurt Hotel have a modern design and feature a harmonic colour concept, a pleasant ambience and a spacious feeling. Comfortable beds, a roomy desk with a direct-dial telephone and furnishings, which leave little to be desired, are counted to our standards. Convenient bathrooms with a lot of extras as well as individually adjustable air-conditioning guarantee a maximum well-being. From all floors you have best views of Frankfurts historical main train station. 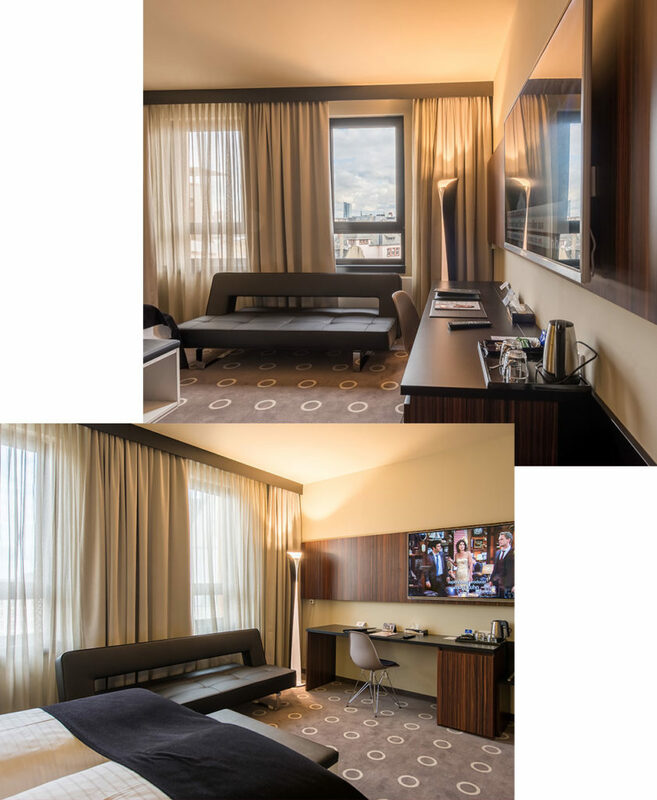 Our room rates include numerous services such as WIFI an Pay-TV. You don’t have to worry about anything. Arrive, check in – relax. That’s the way it should be. Enjoy a relaxed atmosphere, a high level of sleeping comfort and relaxing hours – at The Frankfurt Hotel and in the Main metropolis. If you have questions concerning the hotel, the rooms and their equipment, don’t hesitate to contact our friendly reception team any time.